No artificial colour, Flavour or sweetener. Best served chill. Encourages consuming within 4 days.Avoid exposure direct sunlight. Ribena is childhood memory's beverage. Everyone who born in early 90s generation must have drunk Ribena juice. It was really popular among Malaysian reaching the boiling point in 2004. If I am correct there were nothing replaced Ribena juice. 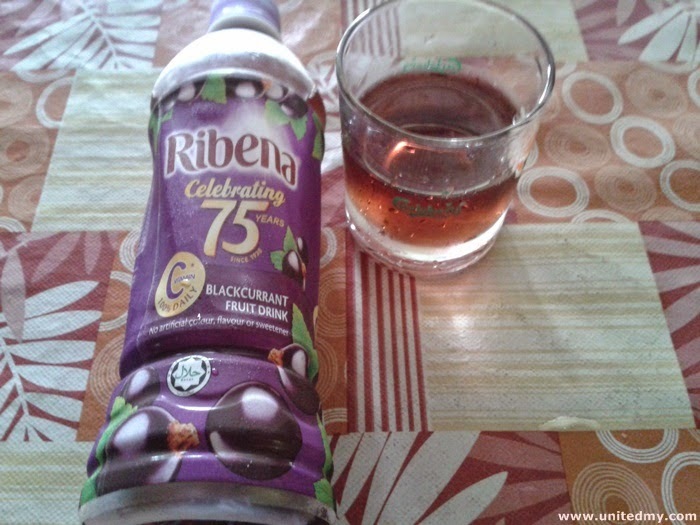 As the years passed, Ribena the well known beverage, could be the first grape tasted beverage in Malaysia there are not much grape tasted beverage else as successful as Ribena. Ribena does affected us subconsciously. As the Ribena getting well received, Malaysian develop a sense of pursuing the grape fruit. If we had never tried Ribena, we would not have wanted to try the grape fruit in the first place. However, It was all false that Ribena was made from blackcurrant instead of grape. A fruit contains element of vitamin C and antioxidant. Look, Ribena Malaysia has launched a new TV commercial on Youtube and it is nice to watch ! For your information, Ribena brand was put up on sales by its founder GlaxoSmithKline. The sales was whooping 1.3 billion pounds. The acquired company is a Japanese company Suntory. Ribena Malaysia Facebook page has 30,000 over likes and growing. In their Facebook page, there is a fascinating story behind Ribena. The Ribena was made by UK entrepreneur in order to resolve the lack of vitamin C dietary food in UK due to second World War. Ribena must have lot of Vitamin C elements in it. We are born in a fortunate time although the second World War have been a past for most of us, we still very much needs Vitamin C which we could obtain easily by drinking a bottle of Ribena. We should drink it at least once a week to supplement our body.